With the founding of two companies designed to interface human brains directly with computers using nanotechnology (See this Wired Article) the stage has now been set for next stage of evolution, as willing humans begin to digitize their intelligence and become a super-intelligent new species. Much has been written about “Transhumanism” but until now, it was purely the realm of science fiction. Just as virtual reality was imagined long before it was actually developed, this inevitable technology, while horrifying to many people, will creep into human society step by step, and seem normal within 50 years. This will happen because it will offer so many benefits, such as never forgetting anything, curing mental illness, instant access to all the world’s information and virtual reality worlds, massive multi-tasking, and the ability to communicate directly with Artificial Intelligence, another intelligent species expected to “wake up” on Earth within 30 years. 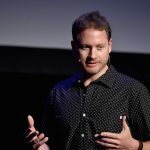 The assumed goal of VR is to create an experience that appears to be real, surreal, or super-real,(alson known as Full Dive VRR and that must include the sense of touch. Touch includes not just sensations on the skin but pressure, momentum, heat, texture, gravity, and more. 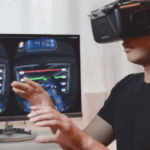 Many companies are developing Haptic technologies that can crudely simulate some of these sensations, and they can be fun for specialized uses, but the brain’s senses are far too complicated and sensitive to be fooled completely by strap-on products or full body haptic suits. The only way to truly fool the brain is going to be to have access to individual neurons. That’s 100 billion of them, with up to 10,000 connection each, making for nearly a quadrillion connections. It’s thus assumed by futurists that the most likely scenario is to inject a liquid containing billions or trillions of tiny nanobots that will attach themselves to individual neurons, communicating with each other as a network, either through tiny cables or some type of nano-wifi. 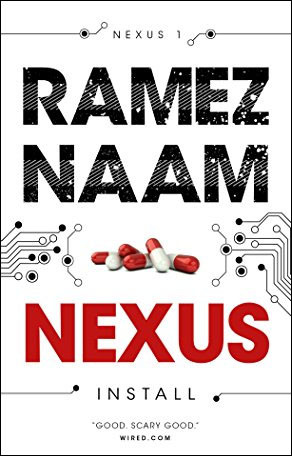 (A great recent book series that describes in great detail how this could work, and the potential uses, is Ramez Naam’s The Nexus Trilogy.) 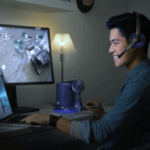 Together, they will also be able to communicate with the internet or outside technology such as a desktop computer (or the future’s equivalent) and that’s where VR and haptics come in. How many transistors can fit onto a Nanite for each neuron? This is just a single layer, and technology 2016. Already, 10nm chips have been developed, and they are expected to get smaller in the coming years. By the time VR is really getting good, 10-12 years from now, we should expect that 100,000+ transistors can fit onto a small nanite chip that will be able to attach to a neuron without generating too much heat that it damages the cell. 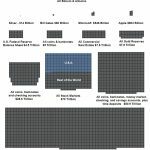 So while this is just a rough estimate, I hope it will give you a sense of scale, what’s possible, and some of the technical challenges involved. Also, it shows the incredible complexity of bringing about the dream of Full Dive VR. The technology to do this is probably too complicated for human being to ever develop on their own, but luckily there’s a shortcut. How do you design a system that merges a quadrillion miniature wifi routers and get them to work in harmony while connected to 100 billion neurons of all different shapes and many types? The answer is that humans won’t do this. This is a job for Artificial Intelligence. 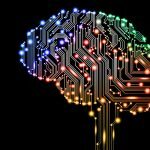 Some very smart people will set up the algorithms and goals, and AI will do the rest. We won’t know how it’s working, but we will know that it is, because we’ll experience the results. Once our nervous system has a nanite network shadowing it, we’ll become another species, and be able to experience complete VR with complete haptic illusion. But there are a lot of steps between now and then, and they’re not just technological. You can bet that many groups, on religious or humanist grounds, will be against the creation of a super-intelligent new race of people. The next fifty years are going to be incredibly interesting to see how this plays out.